After growing up to 10 times their regular size, pet fish dumped in rivers are harming the natural ecosystem. 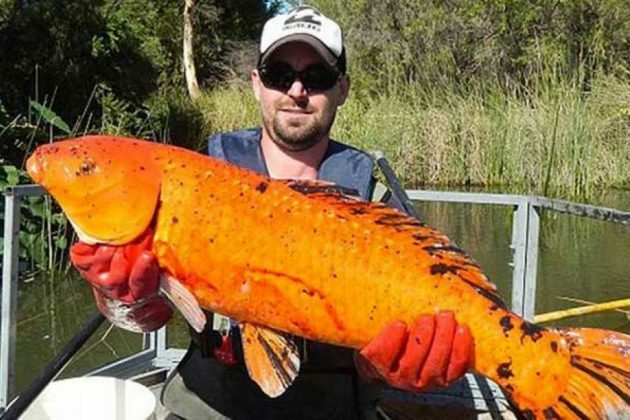 Huge goldfish and koi carp are being caught in the waterways of Western Australia. Shocking pictures show how the aquarium fish have turned into river monsters and an expert warns they are driving native fish to extinction. 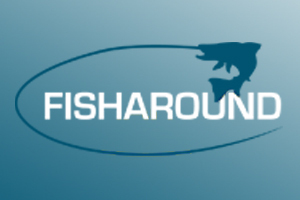 Dr David Morgan, the Director of the Centre for Fish and Fisheries Research at Murdoch University, said: "Effectively people are unknowingly doing it but they're basically released by pet owners. "People aren't really aware what damage they're going to have in the ecosystem. "What you see up and down Western Australia's coast is a lot of pest fishes are right in town centres and almost every town has one." As Dr Morgan explained to the Daily Mail the fish are much larger than the native species, such as crayfish, so they prey on them. They are also bringing exotic parasites and disease with them, he said. One of these is an anchor worm that leaves a hideous impact on native fish and was probably introduced by goldfish. Research conducted by Dr Morgan and Stephen Beatty found that at least 13 species of fish had been introduced into south-western Australia, with pet owners believed to be the biggest culprits. Dr Morgan, whose organisation euthanizes hundreds of the pests after catching them through electric fishing, said he wants pet owners to be educated into the effects of releasing their pets into the wild.